This holiday season, BJ's Wholesale Club is making saving easy! Become a BJ's Smart Saver to be the first to learn about the latest club deals and sales all season long. 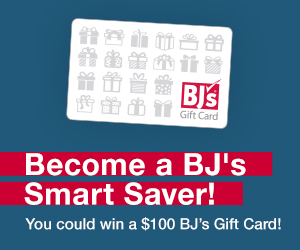 Plus, each week you could win a $100 BJ's Gift Card! Sign up today to stay in the loop and start earning points.